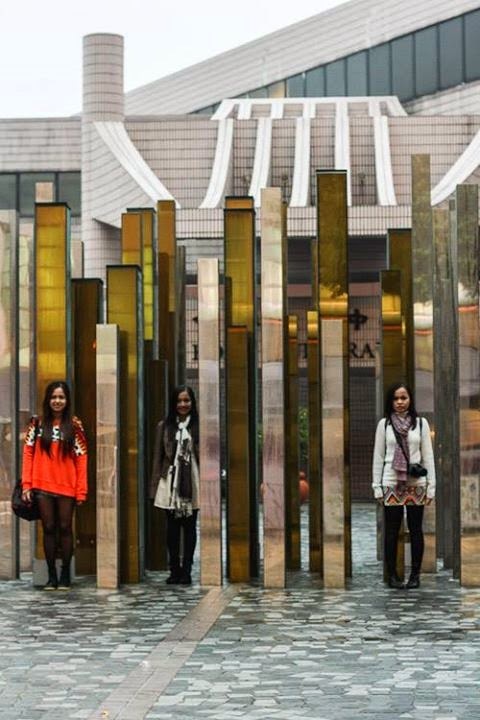 Senyorita Lakwachera: February - March Hong Kong Weather and Outfit Ideas. February - March Hong Kong Weather and Outfit Ideas. Weather is one of the things that I took time to research about when I planned our Hong Kong vacation because we have to think about the set of clothes we have to bring that would fit our backpacks. Since last week, I already got two questions about how’s the weather in Hong Kong during mid-March, which reminds me with of this post that I’ve been planning to write related to HK weather at that time of our visit. While doing some research before, I’ve learn that March is the end of spring season in Hong Kong. Part of the month would be colder and part is warmer. A friend who’s been there in February warned me about the colder nights, which I quite disregarded since their travel date is more than a month past ours. So, we ended anticipating a 20-25°c during daytime and around 18-21°c on night time. On my backpack are high cut thin boots, socks, leggings, and knitted tops, all of which are common set during spring season. I also have with me a scarf and jeans jacket and hoodie jacket which I use to bring when travelling to colder places here in the Philippines. March 11, our arrival date, the temperature was at 16°c at 9:00AM in the morning. It was colder than we expected. I easily get cold, so I was chilling a little that time. But we were so excited that we didn’t even bother. We went straight to our accommodation and prepared to visit Victoria’s Peak. Upon reaching Victoria’s Peak we were all dead cold. With only jackets and leggings – we felt literally frozen. The weather drops at 11°c at 2:00PM in the afternoon. My sisters keeps on blaming me that time because I ask them not to bring too thick coats or anything alike since they might be inappropriate, only to find almost all locals on their winter coats and jackets. 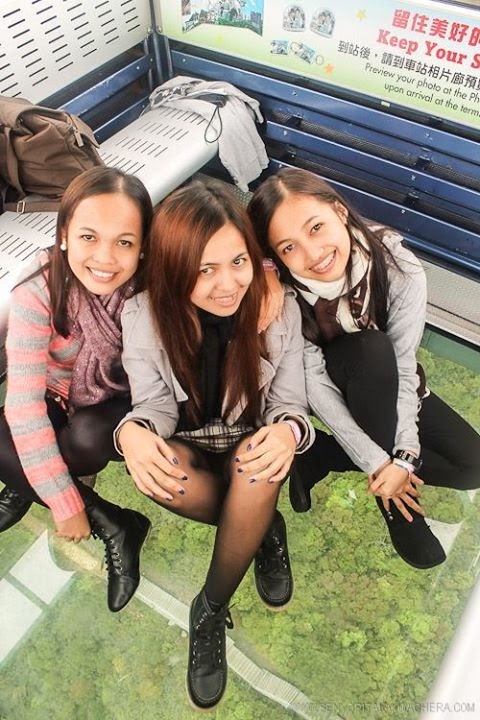 We ended up buying additional tights and use our extra clothes for additional layers to keep us warm during our entire trip as the highest temperature recorded that time was 23°c in Macau. The average temperature that time was I guess at 19°c. So, for some late OOTD’s here’s how I layer my clothes based on what’s available on my backpack. I don’t see it very stylish and trendy, however all of them serves me well, so I hope that you may find this post helpful. TIPS: Bring spring set of clothes. Have a big enough day pack bag where you can comfortably fit all your things, like your documents, wallet, gadgets, vanity pouch and a thick jacket or coat. I made a Polyvore collection which will visualize the content of my baggage if I am going to visit Hong Kong again during the same month. I hope that this will feed you more helpful ideas. Keep warm, be safe and enjoy! hi. we're planning to go hk last week of march. is it still cold during that time? thank you! I don't think so.. but bring something to keep you warm specially when you easily get cold. Philippines :) humid most of the time. hi me and my friends plan to go hk on November do u think its starting for a cold season?